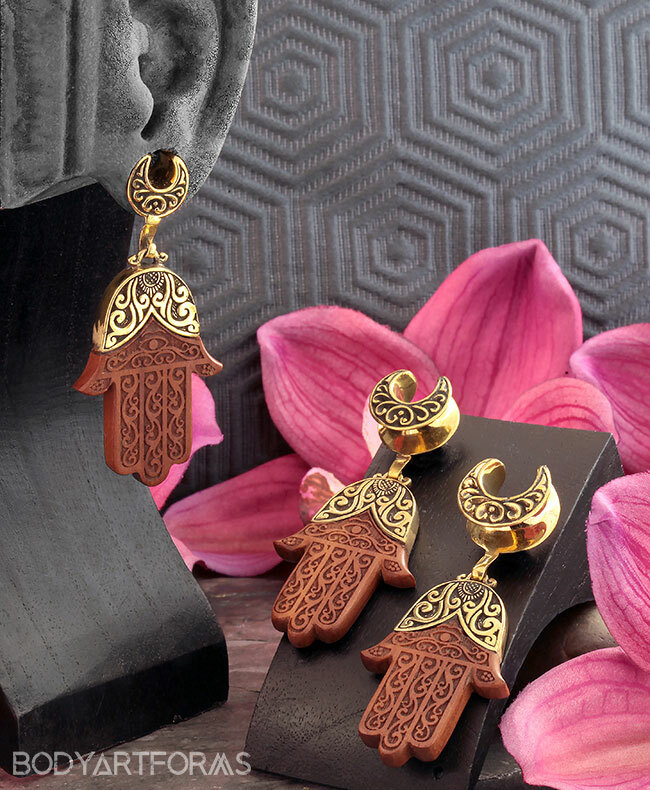 Sizes offered: 00g/10mm, 7/16", 1/2", 9/16"
This protective Hamsa amulet is delicately carved out of Saba wood with an attractive brass setting and brass saddle design. The saddle and Hamsa design are double sided, and have the same pattern on the reverse side. PLEASE NOTE: Attention international customers: Due to the fragile/large nature of this product, it needs to be shipped in a box rather than a bubble mailer. This will increase shipping costs at checkout.SPECIAL CARE: This item is made with wood. We recommend taking wood jewelry out before showering as water can ruin it.